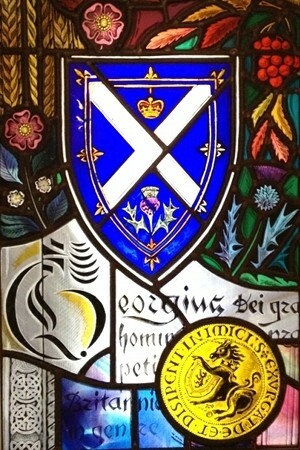 Forthcoming events and conferences of interest to Open Scotland. Jisc RSC Scotland Regional Event. Booking and further information here. MOOCs (Massive Open Online Courses) are the buzzword on everyone’s lips but what are they, why do they matter and what MOOC developments are happening in Scotland? This event will feature presentations from the three key institutions engaging in MOOCs currently in Scotland: the Universities of Edinburgh, Glasgow and Strathclyde. The presenters will share their experiences of developing and delivering MOOCs, covering the opportunities, challenges and the lessons they have learnt from creating courses for huge numbers of online, diverse, international students. The event will provide plenty of opportunity for discussion and the chance to find out from the presenters – all of whom have been actively involved in the initial concept, development and delivery of MOOCs at their institutions – what it is like to develop and teach on a massive scale. Online, Wednesday, 19 February 12:30 – 13:15. Further details here. College Development Network, Wednesday 5 February, 10.00 – 15.15. Further details here. A free event FE library staff with an interest in OER, those seeking to find out more information about the current open educational development landscape and any staff involved in supporting OER in their organisation, including MOOCs. Lorna Campbell, Cetis, will be presenting the opening talk of the day about the aims and objectives of the Open Scotland initiative. Centre for Contemporary Arts, Glasgow, Monday 3rd February at 18.00. You can sign up for the event here. The second Jisc RSC Scotland Open Badges Design Day will take place in Glasgow on Tuesday 10th of December. The event will focus on designing, issuing and displaying badges. Participants will have the opportunity to come with an idea for a badge or badge system, work it up and learn how to develop the design, how to issue and display the badges. For further details, and to register for this free event please go to the Jisc RSC Scotland website here. The Jisc RSC Scotland Open Education Joint Forum has a full programmes of speakers discussing a wide range of topics relevant to open education in Scotland. The event, which takes place at the School of Informatics at the University of Edinburgh on the 26th of November, is now fully subscribed but you can find further information about the programme here. Grainne Hamilton, Jisc RSC Scotland and Lorna Campbell, Cetis, will be presenting lightning talks on the Open Badges for Scottish Education Group and the Open Scotland initiative at the OKFN Glasgow Meet-Up at the Centre for Contemporary Arts, Glasgow, Monday 18th November at 18.00. You can sign up for the event here. Lorna Campbell, Cetis, will be presenting about Open Scotland at the forthcoming Open and Flexible Higher Education Conference in Paris on the 24th & 25th October. Campbell, L.M., MacNeill, S., Barker, P., and Wilson, J., Open Scotland – Policies and strategies for opening up education in Scotland, EADTU Conference, 24th – 25th October 2013, Paris. Joe Wilson, SQA, will be speaking about SQA’s work with Mozilla and open badges at the Mozilla Festival in London on Saturday 26th October.